RESQ Charitable Trust - Indus International students fund raise for RESQ! 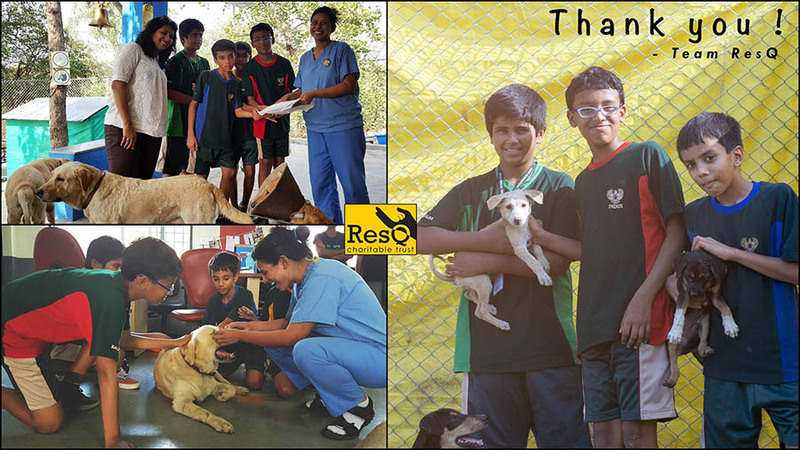 "Children that are KIND to animals TODAY, is our only HOPE for a KINDER world TOMORROW"
We would like to thank the 6th grade students of Indus International School - Pune : Karan Patel, Kaustubh Vasudevan, Rohan Jhalla and Aditya Pasricha and Varenya Gada for raising funds to help our injured and sick animals at RESQ CHARITABLE TRUST Pune. We hope you continue to help animals in need and come visit them again soon! Lots of love and best wishes from all the animals in RESQ who are extremely grateful for your generous contribution to them! Also, a big thank you to their teacher, Anjali Patwardhan, for coordinating this thoughtful project.